Drugs commonly referred to as steroids in sports are more accurately classified as anabolic-androgenic steroids (AAS) or simply anabolic steroids. These include natural steroids like testosterone and synthetic versions that are structurally similar to testosterone and work just as effectively. Both are available by prescription and are used to treat a variety of conditions associated with testosterone deficiency (hypogonadism) in men and women. Anabolic steroids are sometimes accessed by athletes and bodybuilders for non-medical purposes to build muscle, endurance, and strength. Use of this sort is illegal and banned by most sports organizations. In January 2005, the Anabolic Steroid Control Act was amended alongside the Controlled Substance Act, adding anabolic steroids to the list of controlled substances and making their possession a federal crime. Still, there are athletes who continue to use them illegally despite evidence that they can cause serious health problems. Anabolic steroids should not be confused with corticosteroids, such as cortisone or prednisone. These are drugs used by doctors to treat acute and chronic inflammation. The term "anabolic" is used to describe the process wherein smaller molecules bind together to build bigger ones. The term "androgenic" refers to male hormones, known as androgens. Anabolic-androgenic drugs work by increasing protein within cells, most especially skeletal muscles. The elevated testosterone levels can also increase endurance capacity and delay on the onset of fatigue, enhancing the overall performance of athletes. When used for this athletic or muscle-building purposes, anabolic steroids are considered performance-enhancing drugs (PEDs), while their illegal use is referred to as "doping." Androstenedione: Also known as "Andro," androstenedione is a designer steroid that was widely abused by athletes in the 1990s, despite there being little scientific evidence to support its effectiveness. In 2004, the U.S. Food and Drug Administration banned the sale of androstenedione due to increasing evidence of serious health risks. Primobolan (methenolone): This banned steroid has been linked to several major league baseball players, including Alex Rodriguez. It can be injected or taken in a tablet form. 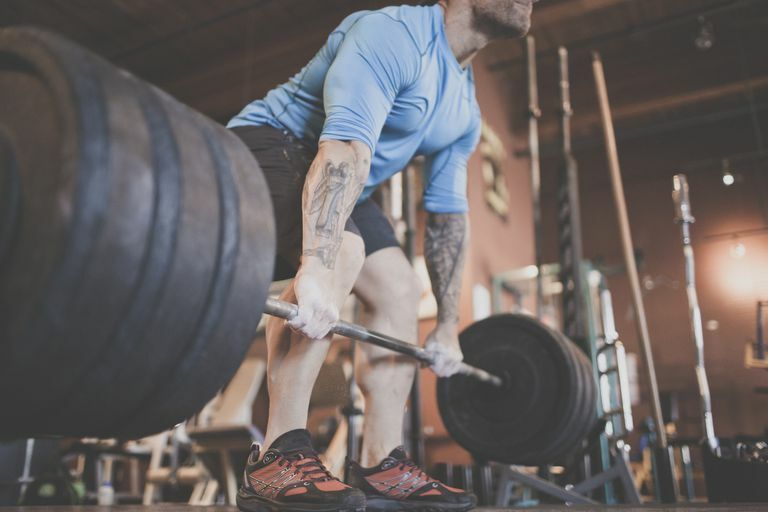 Primobolan has long been popular among athletes because it can build strength without muscle bulk or many of the negative side effects of other steroids. Tetrahydrogestrinone (THG): THG is another designer steroid that was specifically manufactured so it would not be detected in doping tests. The U.S. Food and Drug Administration (FDA) banned the sale of THG in 2003, declaring that it was not a supplement as advertised but rather a PED with a potential for abuse and health hazards. Clenbuterol: Also know as "Clen," clenbuterol is a bronchodilator approved of the treatment of asthma. Like anabolic steroids, it can increase lean muscle mass while burning fat, making it attractive to bodybuilders who want "cut" muscle definition before a competition. Professional athletes like Tour de France winner Alberto Contador and Guillermo Mota of the San Francisco Giants have tested positive for the banned substance. DHEA: DHEA, an acronym for dehydroepiandrosterone, is a natural steroid prohormone produced by the adrenal glands. Once ingested, the body converts DHEA to estrogen and testosterone. DHEA has been marketed as a nutritional supplement since 1994 after the passing of the Dietary Supplement Health and Education Act of 1994. Despite being available online and in supplement stores, DHEA is still considered a banned substance by many sports organizations. Anabolic steroids are currently banned by all major sports bodies, including the Olympics, the National Basketball Association (NBA), the National Football League (NFL), and the National Hockey League (NHL). The World Anti-Doping Agency (WADA) maintains an extensive list of banned PEDs, both oral and injectable. Steroids are taken either orally (in pill form) or via intramuscular injections. Dosing is commonly done in cycles of weeks or months, with a short break in between. The practice is referred to as "cycling." "Stacking" refers to the use of several different types of steroids at the same time. "Pyramiding," meanwhile, refers to the practice of slowly increasing the number, dose, or frequency of steroids to reach a certain peak, after which the amount and frequency are gradually tapered down. While dopers will readily share tips on what the "optimal" or "peak" dose is—asserting that such levels are safe—most of the information is simply made up. When used outside of a prescribed medical treatment, no dose can be considered safe. It is not uncommon for athletes to use 10 to 100 times the dose prescribed for legitimate medical use with little consideration as to the long-term consequences. There are many health risks associated with anabolic steroid abuse. Some are androgenic, in which the increased testosterone levels can induce secondary male characteristics in both men and women. There are also metabolic side effects, most commonly linked to ongoing abuse, as well as both short- and long-term psychiatric effects. Athletes who use steroids can experience withdrawal symptoms when they quit. The symptoms include mood swings, depression, fatigue, irritability, loss of appetite, insomnia, and violent outbursts. Depression can even lead to suicidal thoughts and actions if left untreated. Dandoy, C. and Gereige, R. Performance-Enhancing Drugs. Pediatr Rev. 2012 Jun;33(6):265-72. DOI: 10.1542/pir.33-6-265. Will Compression Socks Speed Your Sports Recovery?